Some of these new car buying tips are obviously more important than others, but they all have a place in the big picture when it comes to buying a car. If getting the best deal on a new car and getting the most for your money is important make sure you read through these pointers before you make that next new car purchase. The last thing you want to do is regret your vehicle purchases because it’s something that you will have to live with for while or pay a big price to change your mind. #1. Vehicle Selection: Sounds simple right, but you might be surprised to learn that not everyone chooses the best vehicle for their needs both now and later. Most people keep their new cars approximately seven years. Therefore you should think about how your life and needs will change over that time. Sounds obvious, but I can assure that this is one of the most critical new car buying tips. #2. Budget: You knew this was coming because it’s typically the most common factor that determines your vehicle choice. You and only you (or possibly your spouse) are the only ones that know your budget restraints and limitations. Once you have determined your budget for buy buying your new car it’s absolutely imperative that you stick to your number. A good car salesman can be very good at getting you to increase your budget when you are in the dealership. All of these new car buying tips are important, but this one can cause more buyers remorse or regret than all of them. When you are at the dealership and they say that all you need to do is pay another $25 a month and you agree even though it’s over your budget it can cost you more than a thousand dollars. Set you car buying budget and stick to your number. #3. Research: Maybe you don’t care about the reliability and safety ratings of your new car, but you should. You can save yourself some grief and avoid some headaches down the road if you know what you are buying before you take the plunge. This is one of those tips for buying new cars that is just common sense and it doesn’t have take too much time to do some research. By visiting a couple of websites like Edmunds.com, Cars.com and ConsumerReports.org or the car brochures section and learn about the new car you may be considering. Pay special attention to things like resale, reliability and safety ratings all of which can make a difference over the life of owning your new car. #4. Lease or Buy Your New Car: Some of these new car buying tips are simply about your own needs. You should think whether it makes more sense for you to lease or buy your new car. If you keep your cars forever and plan on driving it until the wheels fall off then you should buy your new car. However if you are that person that likes to upgrade every few years then leasing might be a good choice. Not all car leases are created equal, but there are several brands that offer some very cost effective leasing options. This is where research can pay off big time when it comes to buying a new car. #5. Insurance: Make sure your consider your auto insurance before you buy your new car or you may be sorry. Insurance companies know lot of things about cars and these things have an impact on your rates. If you are financing your new car you will be required by the lender to have full coverage on your vehicle which and be expensive for some drivers. This can be a real eye opener when buying your car and one of the new car buying tips that most people don’t think about until it’s too late. #6. Test Drive: Of course you want to test-drive your new car before you make your purchase. However I am not talking about simply driving the make and model of car you are considering. I am saying that it’s absolutely essential for you to drive the exact car that you are going to buy before you make any commitments. You would think that all the new cars of the same, make model and options would drive the same, but that’s not always true. Most of the time they will drive the same, but once in a while you will find a particular vehicle that’s different so make sure you drive the specific car you are buying. This simple car buying tip can save you from having buyer’s remorse. #7. Trade-In: Car dealers love trade-ins because it’s usually an opportunity to make more profit on your vehicle transaction. When it comes to new car buying tips make sure you do some research on your trade-in so you aren’t blind-sided by your car salesman. Obviously the value of your old car is subjective and influenced by more than miles and condition. Some used cars are more or less valuable in different parts of the country. Plus there are other things such as body damage, needed repairs, history report and the appeal of your particular car. However you can get a pretty good idea of the actual value of your car buy visiting websites like Edmunds.com and KBB.com. When you know your trade-in value you are in a better position to hold your ground when it comes accepting or rejecting your trade-in offer made by the dealership. #8. Purchase Price: The price of your new car is important, but some people focus on the payment and/or the down payment rather than the purchase price. Sounds like a basic new car buying tip, but you might be surprised by how many people end up paying more than they thought by only worrying about the monthly payment. When the purchase price of the car is determined you can then focus on other items such as trade-in and accessories. Remember it just math: if the payment goes up so does the price. The monthly payment is determined by the same math that everyone uses so don’t be tricked into thinking otherwise. #9. Down Payments: If you are financing or leasing your new car the subject of down payment is going to come up. For some people you wont need a down payment, but for others a down payment may be required in order to get approved by a lender. It’s all about your credit score and credit history. 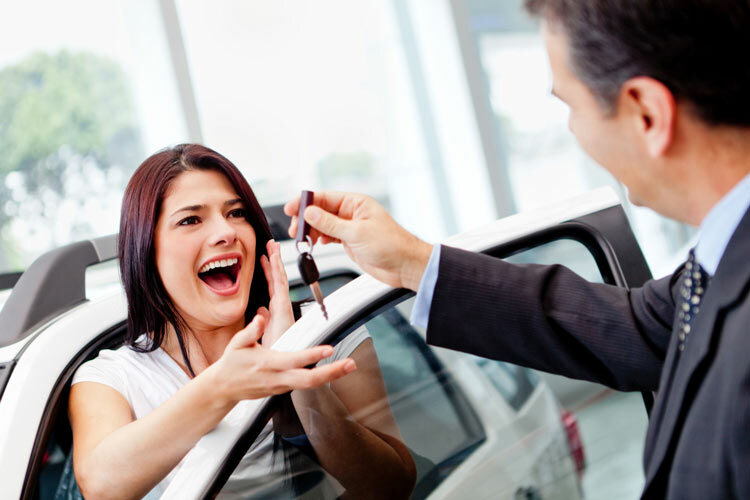 Every lender has different requirements, but overall a ten or twenty percent down payment on a new car is a good idea. Regardless of what the car salesman tells you an automobile is not an investment, it’s an expense and a larger down payment equals less interest expense. #10. Negotiating With the Car Salesman: Many people fear or despise negotiating with a car salesman, but there is no reason for this school of thought. 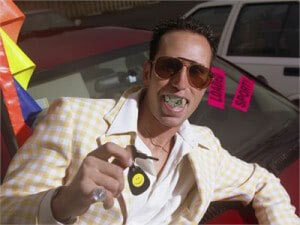 The car salesman is just person that sells cars for a living. Some are better than others and they are rarely interested in your concerns. They just want to sell you a car, but you are spending your money and you are the one in control. Remember these new car buying tips at all times when you are at the dealership because the dealer and the car salesman have nothing without you. You are the customer and you control the money not them. Don’t do or agree to anything unless you are completely aware of all the facts. You are the boss when you buy a car and nobody else. #11. The Dealership: Where are you going to buy your new car? Do you care? It’s always a good idea to go to a reputable car dealership to purchase your car. However some car dealers are more reputable than others. It’s a good idea to get a personal recommendation from a friend, family or coworker when selecting a car dealership. Plus you can look at online dealer reviews at places like Google.com, Cars.com, Edmunds.com and Dealerrater.com. You can read the reviews of past and current customers and form your own opinion. A few minutes’ online reading reviews may save you from regretting you new car purchase. Of all of these new car buying tips this one can take the smallest amount of time, but it could yield the best experience. #12. Discount Car Buying: Of course you want to buy your new car at a discount, but first you need to know what is a reasonable discount. This new car buying tip alone can save you thousands of dollars. The Internet has made it easy to gather several prices for new cars by investing some time behind the keyboard. You can receive price quotes for several dealers in your email by simply filling out some simple forms. You can do your online car shopping by requesting prices at the manufacturers website, the dealers website and several other places. By simple asking you can gather prices for new cars of your choice from all the dealers that you are considering. Gather these new car quotes, analyze them and determine where you want to go to buy your new car. #13. Car Buying Services: Dow you want to avoid the whole car buying experience. Well you can because there are car-buying services that will do all the legwork for you, but it comes at a price. These car-buying services will gather prices, only consider reputable dealers and set up the transaction. Then all you have to do is come to the dealership, sign the paperwork and take delivery of your new car. However you may need to shell out several to five hundred dollars or more for this service. In my opinion there really isn’t any need for this if you do some research before you visit the dealership. These new car buying tips will help you avoid the hassles and assure you of getting a good deal on your new car. #14. Factory Rebates: Customer factory rebates are very common these days, but not all cars have rebates. 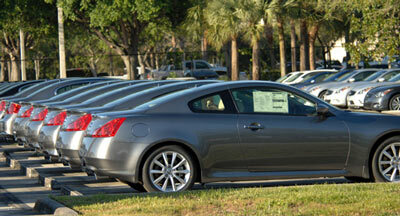 New car rebates are used by automakers to help dealers sell cars and/or provide low rate financing. Not only do these new car rebates make cars easier to sell, but they also help auto manufacturers reach their goals and earn market share. Typically new car models and very popular cars do have rebates, but it really depends on the manufacturer. Some automakers offer rebates or special financing and others provide both together. The best way to discover the current rebates for a particular new car is to visit the automakers website. They will display the new car incentives and disclose all the requirements, qualifications and expiration dates. #15. Financing: The subject of auto financing covers a wide range of information, from interest rates to credit scores, financing tiers and qualifications. We will dig deeper and cover more auto financing information in other sections. However for these abbreviated new car buying tips we want to address some overall information. When buying a new car you are not required to finance your purchase through the dealer. Very often the interest rates are better at the dealership than other lenders, but that is a choice that is best determined by yourself and your needs. #16. Factory Warranties: This new car buying tip is about the factory warranty that is included with your new car. You must take the time to completely understand what is covered by the warranty and what isn’t. Car repairs can be very expensive today so make sure you know all the details rather than assume you are covered. Not all car manufacturers warranties are the same. #17. Extended Car Warranties: You can purchase extended car warranties that provide you coverage for your car that extends beyond the factory warranty period. These warranties can have many different options such as miles, time frames and prices. They are basically insurance policies that cover the cost of repairs, but not scheduled maintenance. One thing that most people don’t realize is that these warranties can be negotiated at the car dealership. Obviously they are going to want to sell them to you at list price, but that doesn’t mean that you have to pay full price. There are many companies that offer these warranties, but the factory-backed warranties are typically the best. These extended warranties provide a great profit making opportunity for the dealership. These are negotiable when purchased from the dealership so make sure you don’t pay full price. #18. Dealer Installed Accessories: Accessories purchased from the dealership are a way for the dealer to make a profit, but they typically offer factory accessories, which are recommended and designed for your particular vehicle. It’s up to you to determine if you want to get these accessories from the dealer or look for some other source. However when you get your new car accessories from the dealer you can add them to your purchase and finance the package rather than pay out of pocket later. This not one of your most important new car buying tips, but it is good for you to know that you do have options. #19. Ordering a New Car: Ordering a new car today is very rare unless you are buying a very special and very expensive hi-line car. Most cars built today are built in several configurations and in several colors, but rarely will they build or even offer to build a car with your personal choices of options and colors. Cars are built by the batch today in order to keep costs down. You may be able to order or put down a deposit at a dealership to reserve a car that is already scheduled to be built, but it wont be built just your you. Very often the car you want will be a dealer locate car, see below. #20. 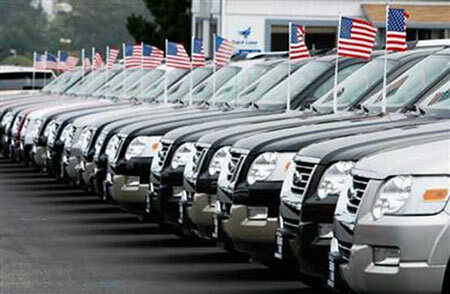 Dealer Locate Your Car: The automakers build cars and ship them to dealerships on a on a regular schedule. They also maintain facilities where vehicles are stored before shipment. When a dealer needs a car that they don’t have in inventory they will typically do what is called a dealer trade. In other words dealers work together and trade cars with each other in order to accommodate their vehicle needs. This is a voluntary program and dealers are not forced to trade, but do this on a regular basis. When it comes to you and new car buying tips I want to be aware that your dealer may do a dealer locate to get the car you desire. However before they do they are going to want a deposit. Before you give them a deposit make sure that the details are in writing. Make sure of the price, the colors, the options etc. are covered and in writing. Plus use a credit card for your deposit in case there are any problems. You can always call the credit card issuer and resolve a problem, but you could have a tough time if you write a check or pay cash. #21. Paint and Fabric Protection: The car salesman will do their best to sell you paint and fabric protection for your new car. The fabric protection isn’t much more than a Scotchgard type of product and the paint protection is a glorified wax. Some people insist and purchase this option on their cars, but it a personal choice and one that you will need to make at the dealership, you have to decide if this protection is right for you. #22. Gap Insurance: When you finance a car there an option to purchase Gap insurance. This product provides you with insurance coverage that will cover and shortage between the balances owned on your car and the actual value of the car in case of theft or total loss. If you put down a 20% down payment on your new car or more it typically isn’t a concern. However if you don’t put any money down on your new car or very little down Gap Insurance can be an inexpensive savior that will pay off the balance due the lender. #23. Auto Loan Life Insurance: when you buy and finance a new car at the car dealership you will get the option to purchase auto loan life insurance. This is a policy that will pay off your auto loan in case of your death before the loan is satisfied. There are many different options including disability and loss of income, but this opens up a new can of worms. Insurance can be tailored to fit practically anyone in any situation. Talk to your insurance agent before you visit the dealership if you may be interested in auto loan life insurance. #24. 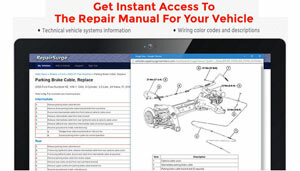 Visual New Car Inspection: Pay close attention here because of the entire list of new car buying tips this one is simple and can save you a huge headache. When you take delivery of your new car you have sealed the deal. Driving away with your new ride means everything is complete and you are satisfied with your purchase. You can’t come back and change anything. The deal is done and you have nothing to say after you drive away from the dealership. So before you drive away take the time to inspect your new car. Inspect outside, inside, in the trunk, under the hood and everywhere. Make sure you have all the keys, a spare tire, jack and anything else that is part of your purchase. Make sure there aren’t any scratches, nicks, dings, dents or anything else because once you drive away its all yours. No refunds, no exchanges and no returns. #25. 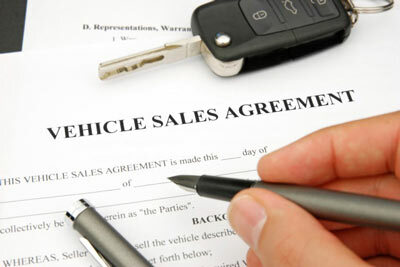 Car Buying Paperwork: Now that you have made the decision to buy a new car the paperwork needs to be completed. This is one area where many people fail to pay close attention to what they are doing. I have talked to many people that were very upset about the their new car purchase because they didn’t thoroughly read the paperwork until they got home. They signed where they were instructed to sign, but failed to completely read what they were signing. Check the numbers, is the purchase price correct, the trade-in value, the interest rate, the term and all the other details. Once you sign your new car buying paperwork you are done, you bought the car and agreed to the conditions that you just signed. This is the last of the new car buying tips and that is because once your sign the contract you are the proud owner of a new car and all the obligations you committed to by signing your name. These basic new car buying tips are basic tips for the car buying process. Follow the links and visit the other sections on car buying for an in depth look at buying a car and how to protect your self from being taken for a ride.